Monday UPDATE UPDATE: Solid job by the studios with their Sunday estimates as Monday's actuals were right in line. Sunday UPDATE: Significantly smaller. 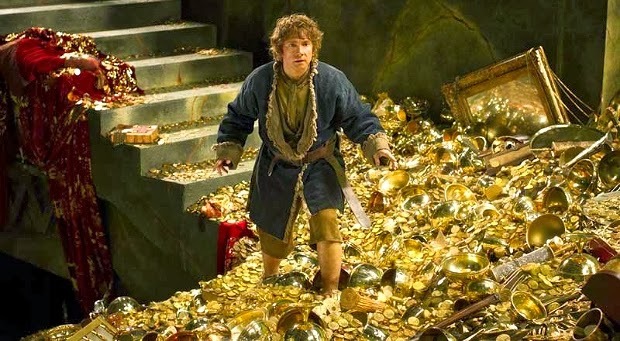 Pocketing $11M less than its predecessor, The Hobbit: The Desolation of Smaug won the weekend with a solid-if-unspectacular $73.7M, the ninth-largest opening of 2013. With holiday legs a lock, no one at Warner Bros. is panicking at the moment. If it performs like Bilbo's first excursion, a robust domestic take of $300M isn't out of the question. But there are certainly questions for Tyler Perry after his latest dress-up sessions as Madea did roughly half the business expected, posting the worst bow of the now five Madea outings. Also of note, American Hustle swiped $690K from six theaters, a gargantuan $115K per-theater average ahead of its wide release Friday. Bilbo's back. The second of Peter Jackson's drawn-and-quartered chapters of The Hobbit trilogy sets down this weekend and it's pretty darn hard to gauge the level of enthusiasm for the diminutive, Shire-dwelling dude's return. Though An Unexpected Journey rang up a December record in its debut frame, it ended its four-month run with $303M domestic, the same sum Catching Fire raked in its first twelve days. While I'm forecasting a slightly-lower bow for The Desolation of Smaug, a launch significantly lower than the first wouldn't be altogether shocking. 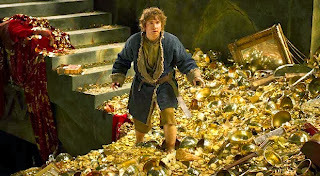 The Hobbit: The Desolation of Smaug $81.5M (↓) – Snowstorm hitting East Coast Saturday could put substantial dent in its take. Tyler Perry's Madea's Christmas $27.5M (↑) – All about the domestic haul with Madea: first four installments raked $273M stateside, $2M overseas. Frozen $21.5M – Stays white hot through the holidays, $200M worldwide and counting. The Hunger Games: Catching Fire $13M – Crossed the $700M mark globally, outside shot at $1B. Thor: The Dark World/Delivery Man $2.3M – Scintillating race for fifth between guys who wield hammers.